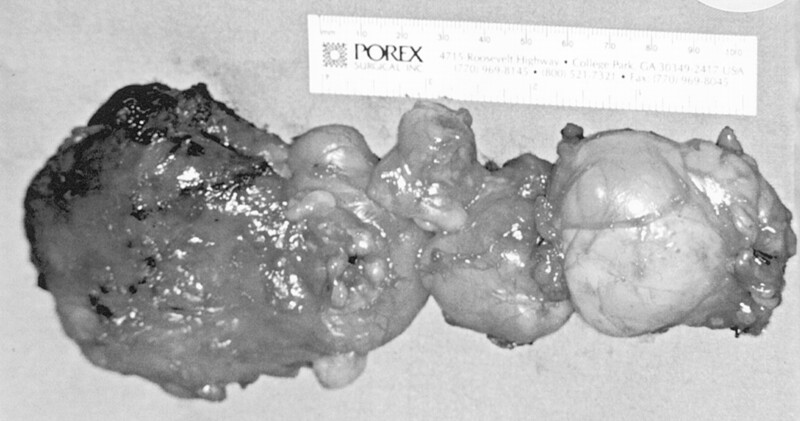 Photograph of surgical specimen. Removal of the mass was difficult, because the posterior part of the lesion was firmly attached to the surrounding muscles and the ramus of mandible. The gross appearance of the mass is that of an irregular, lobulated, firm fatty lesion with no evidence of encapsulation. You are going to email the following Fig 4.